Do you need to create scenic elements in theater and stage, add a personal touch to an event, design a special effect or promote a brand or product launch? Gobos can help create all of this and much more. 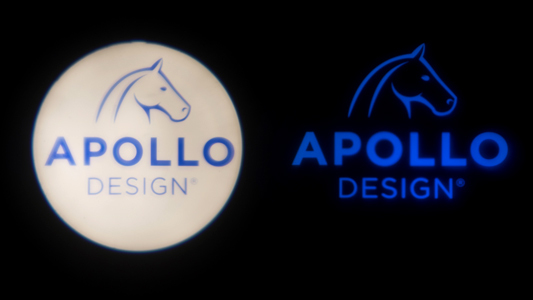 Apollo Design is the world’s leading innovator, manufacturer and distributor of gobos. We have created over 2.5 million gobos since our establishment in 1992 and we maintain a collection of over 3,300 gobo patterns. Custom gobos are the bedrock of Apollo Design and the dedication we have for producing custom patterns is fundamental to our company. Each gobo is unique and our commitment to the customer, attention to detail and focus on quality never waivers. We have an equally strong commitment to helping the earth stay clean. Since 2007, our gobos have been produced using a clean laser manufacturing process that eliminates over 1 oz. of toxic chemical waste per gobo. Gobos can be metal, glass or plastic. The choice of material is dependent upon budget, application, fixture, and pattern design. Metal gobos require “bridging” which are very small lines that connect the internal structure of letters and designs. If bridging is not added, enclosed areas, such as the inside of the letter “O”, would fall out. It’s like carving a pumpkin. View our collection of Metal gobos. * Many of our SuperResolution® patterns are also available as a PrintScenic® pattern. This is dependent on the pattern's level of detail and gobo size needed. View our collection of SuperResolution® gobos. A ColourScenic® gobo is a glass gobo that projects full color, specific colors or gradients of color with intricate detail. ColourScenic® gobos from our collection typically ships within 3 business days, depending upon availability. However, we regularly ship sooner than indicated. * Many of our ColourScenic® patterns are also available as a PrintScenic® pattern. This is dependent on the pattern's level of detail and gobo size needed. View our collection of ColourScenic® gobos. 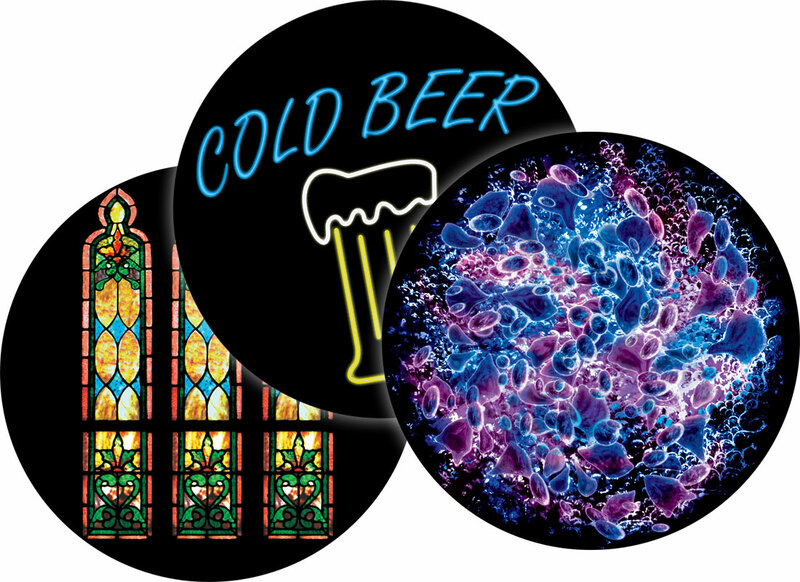 PrintScenic® gobos can be a produced as a glass or plastic gobo that projects color photographs or graphics. They are designed for use in approved LED fixtures only and in short or temporary installations. 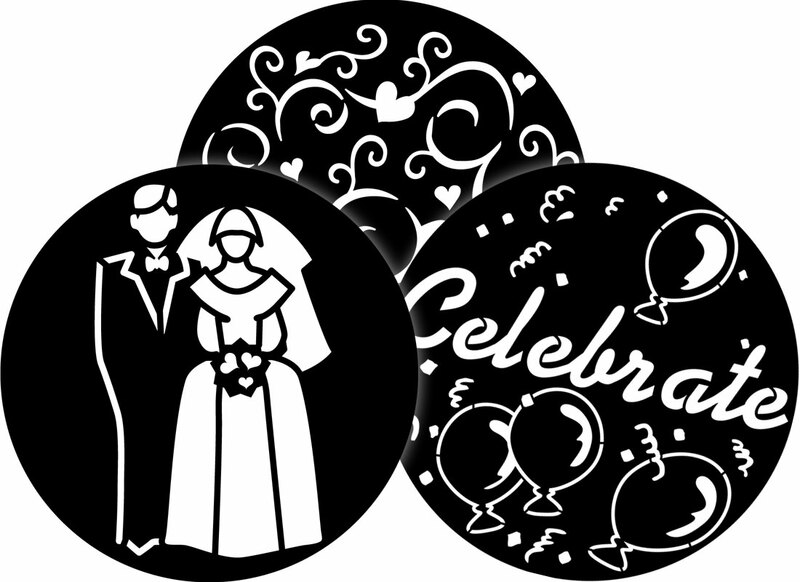 Almost any of our patterns are available as a PrintScenic® gobo. The patent-pending multi-layer printing process enhances the color saturation to create a “true” opaque black, not “transparent” printer black. A 1-Color glass gobo is made from a color dichroic filter. It projects a single color with intricate detail. 1-Color gobos are designed to work best in metal pattern holders. 1-Color gobos from our collection typically ships within 24 hours, depending upon availability. However, we regularly ship sooner than indicated. 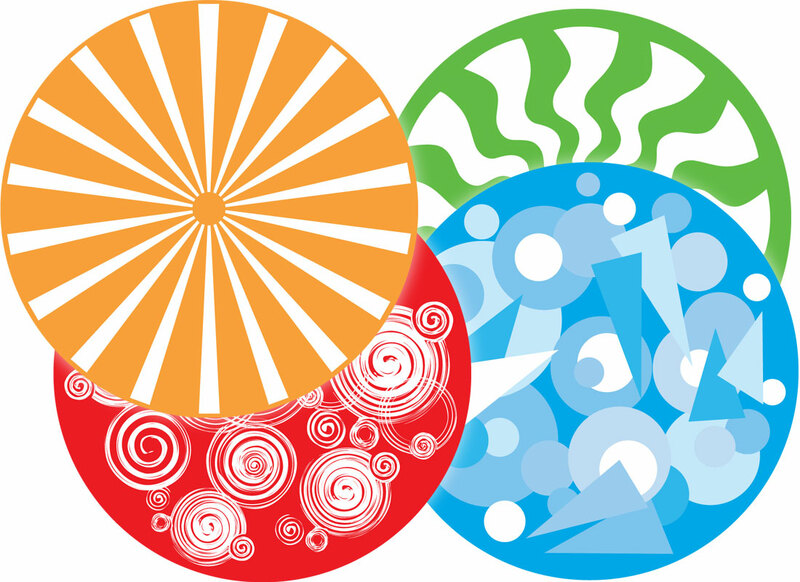 * Many of our 1-Color patterns are also available as a PrintScenic® pattern. This is dependent on the pattern's level of detail and gobo size needed. 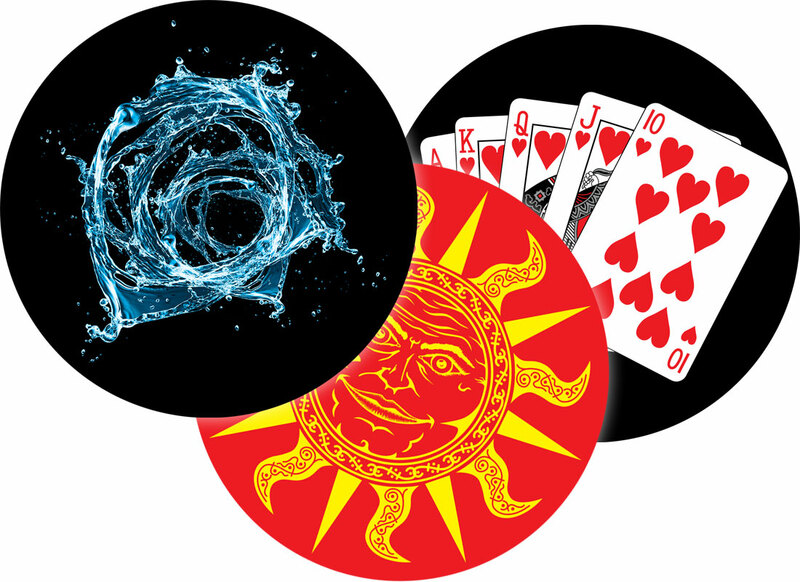 View our collection of 1-Color gobos. Food for Thought: Do I want a 1- or 2-Color Gobo? When creating a custom gobo, some patterns may require a black dichroic filter to eliminate a surrounding circle of light. 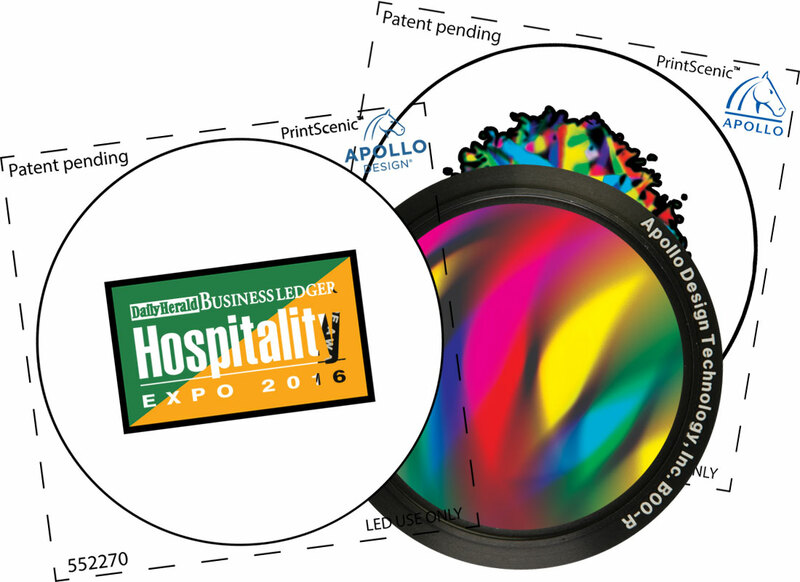 The example below compares a 1-color (left) to a 2-color (right) glass gobo. The 1-color gobo has a surrounding circle of light and may appear blurry. The 2-color gobo does not have a circle of light and the image appears to be sharper. 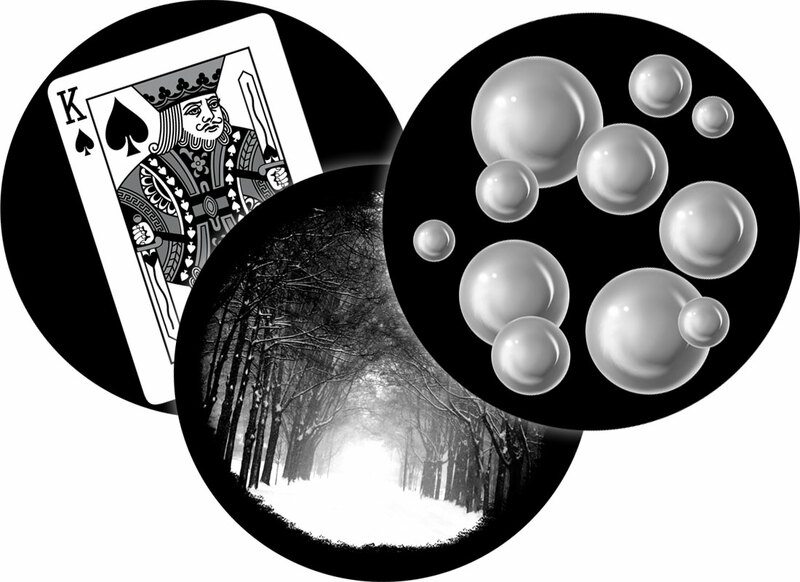 A black plate has been added to achieve this effect. Even though you don’t “see” the black when the gobo is projected, the black filter is a color and you will be charged for a 2-color pattern. A 2-Color glass gobo is made from two color dichroic filters. It projects 2 colors with intricate detail. A reminder, a black filter is considered a color. 2-Color gobos from our collection typically ships within 24 hours, depending upon availability. However, we regularly ship sooner than indicated. 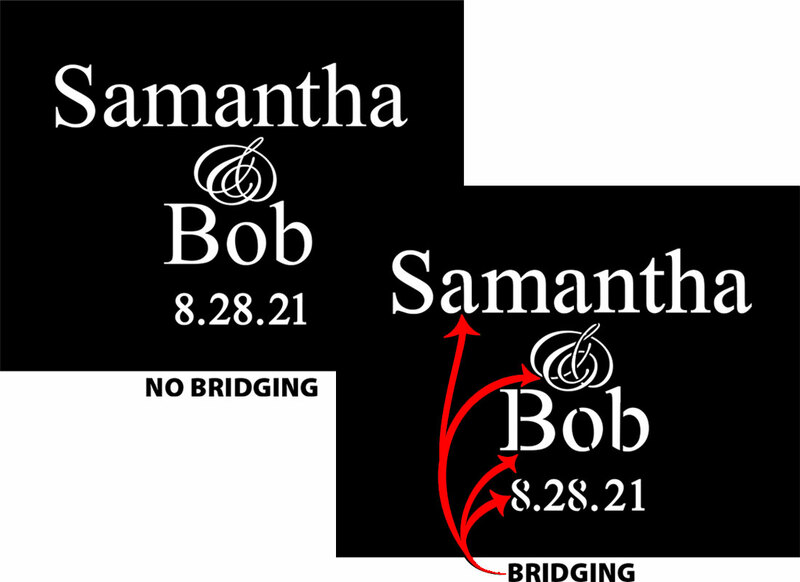 * Many of our 2-Color patterns are also available as a PrintScenic® pattern. This is dependent on the pattern's level of detail and gobo size needed. View our collection of 2-Color gobos.